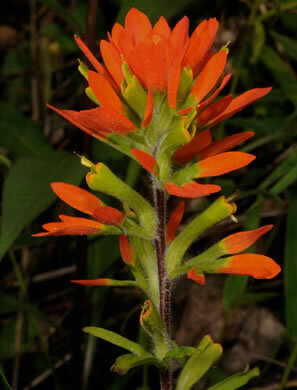 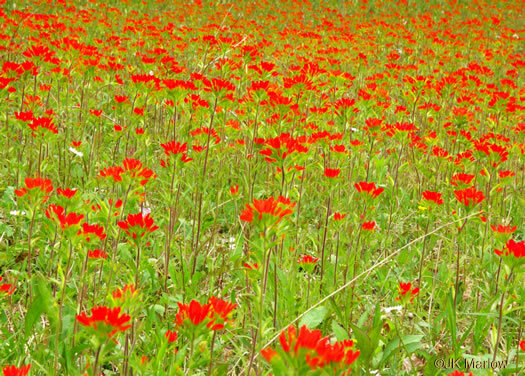 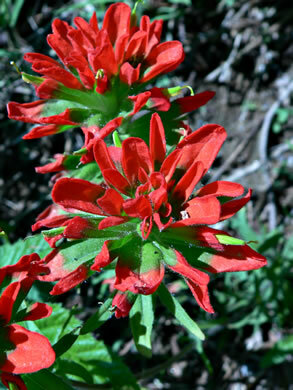 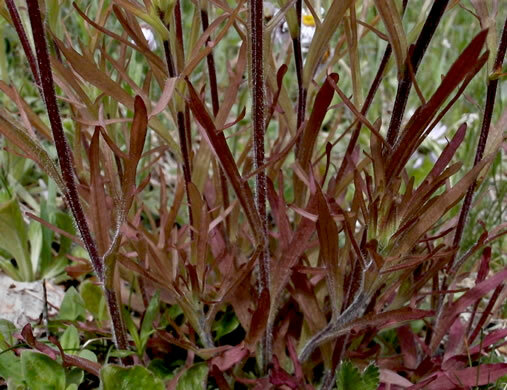 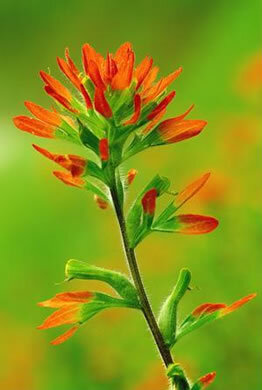 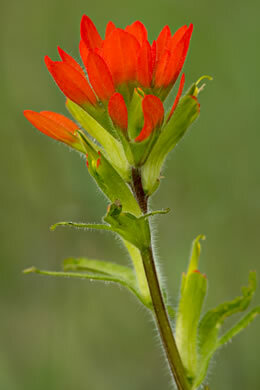 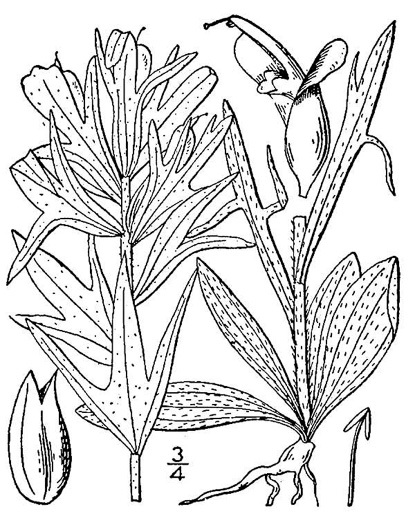 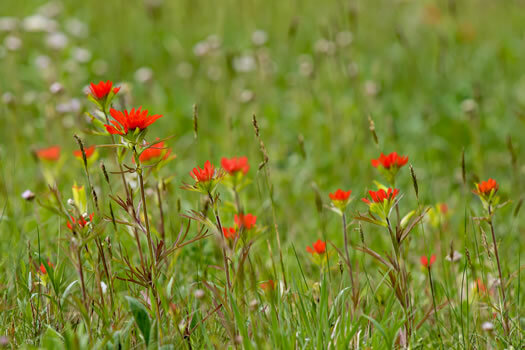 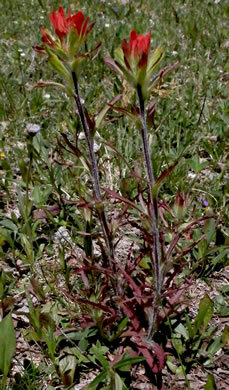 The tubular corollas are greenish-yellow, per Wildflowers of the Southern Mountains. 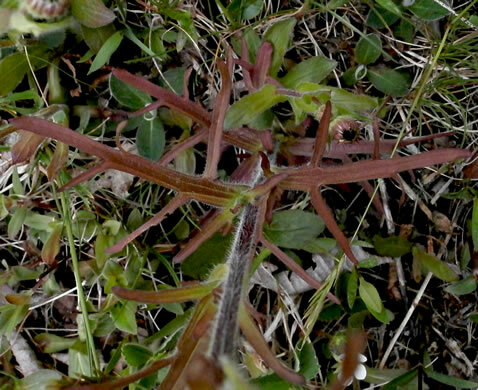 Usually a solitary unbranched hairy stem from a rosette of basal leaves, per Wildflowers & Plant Communities of the Southern Appalachian Mountains and Piedmont. 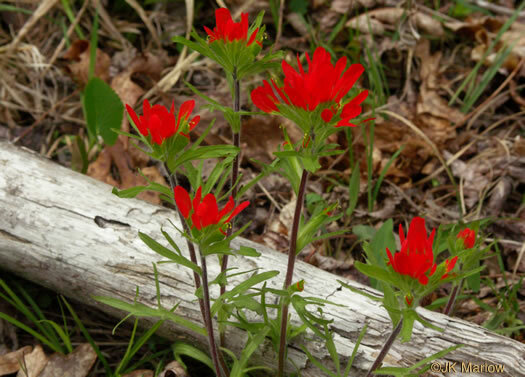 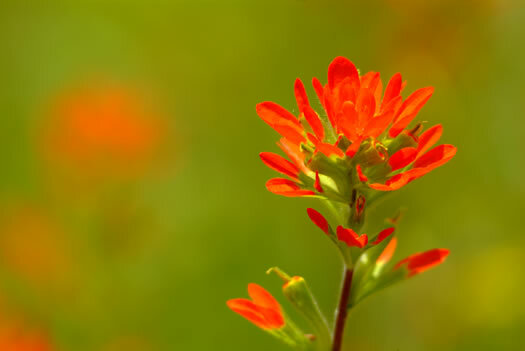 Stem leaves often deeply and irregularly lobed, basal leaves mostly entire, per Wildflowers & Plant Communities of the Southern Appalachian Mountains and Piedmont. 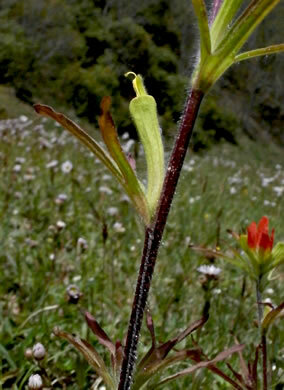 Greenish-yellow flowers in terminal spikes subtended by red leaf-like bracts, per Wildflowers & Plant Communities of the Southern Appalachian Mountains and Piedmont.